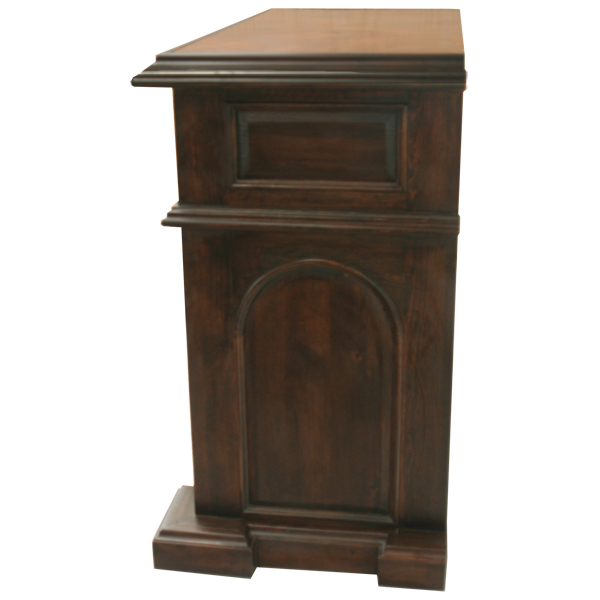 Add to your Western décor this Spanish colonial style end table with Baroque details. 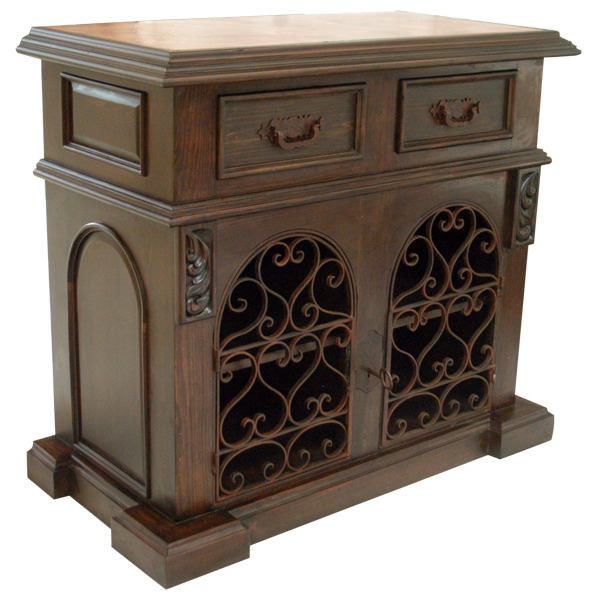 This handcrafted end table features two arched, cabinet doors and the front of each cabinet door is adorned with hand forged, curved, iron designs. Centered between the cabinet doors is a lock with key, and on each side of the cabinet doors are hand carved, floral details. Directly above the cabinet doors are two drawers, and centered in each drawer is a hand forged, iron handle. 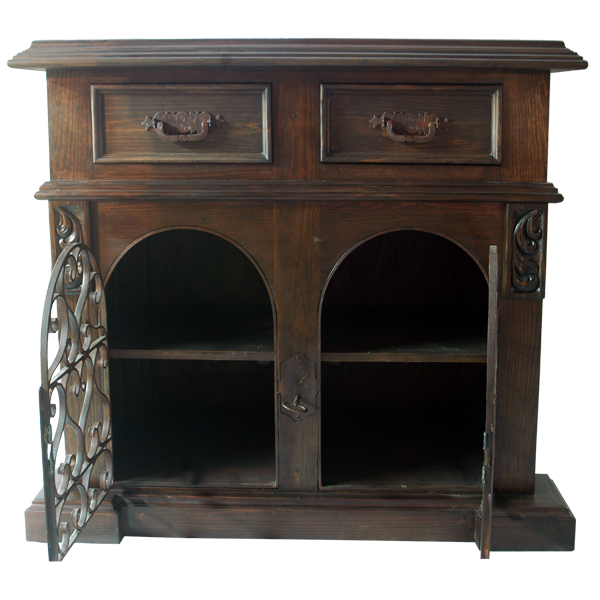 The drawers and the cabinet doors are divided by wood molding, and the same molding style is used on the top rim of the table top. 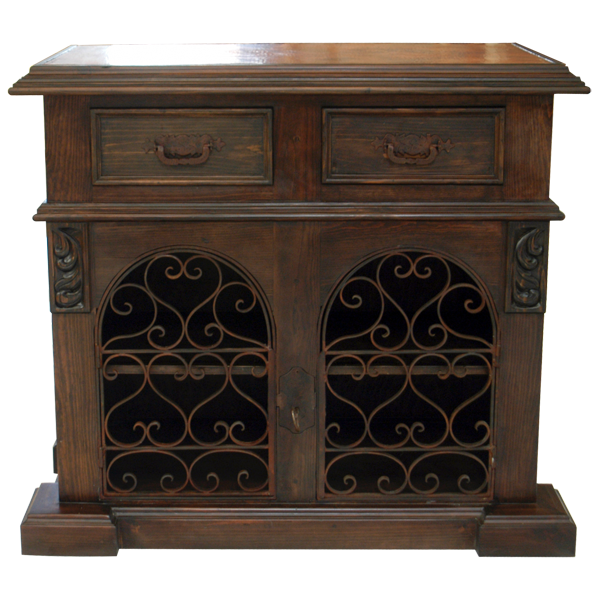 Each side of the end table is decorated with ornate panels. The end table rest on a solid wood base, and it is 100% customizable.